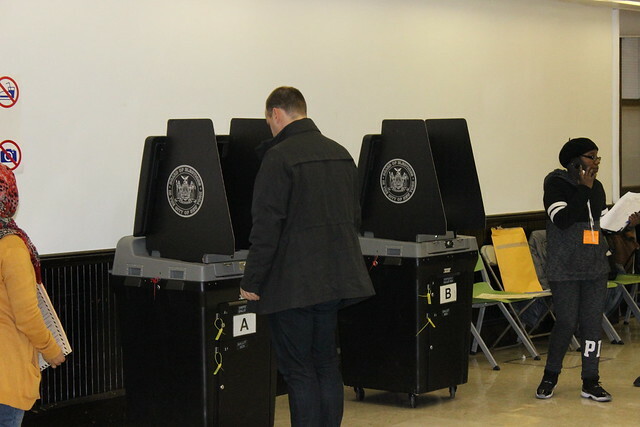 In the coming days, the Board of Elections will select a vendor to provide voting machines to serve nearly 5 million New York City voters as part of the early voting launch this year. Unfortunately, the entire process has become tainted by corruption and ought to raise deep concerns to anyone who cares about the integrity of our elections. Over the past decade, New York City has paid $43 million to Elections Systems & Software (ES&S) for its poor quality ballot scanners and other voting machines. This is the same company that showered Board of Elections Executive Director Michael Ryan with perks including luxury travel and dining expenses in Las Vegas and other destinations. Although Ryan was forced to step down from his advisory role at ES&S after his conflict of interest was exposed by NY1, he still brazenly lobbied the state for fast-track approval of the company’s touch screen voting machine – ExpressVote XL – that is less secure and twice as expensive as systems that print paper ballots. It is vulnerable to hacking, interference, and other glitches. Put simply, this may be one of the worst voting machines in the country. Fortunately, the State Board of Elections rejected the City BOE’s request to bypass the certification process, but it did not close the door on approving this garbage machine for future elections. In the meantime, however, the City must select a new voting system for 2019 and beyond. Ryan’s conduct illustrates that the Board of Elections cannot be trusted to make a decision that’s in the best interest of the public. There is no question that the mutual back scratching between election machine vendors and the agency is out of control. But with a decision coming soon, what can we do to protect democracy? For starters, Michael Ryan must be replaced. His mishandling of last year’s midterm elections, which were marred by endless lines, long waits, and machine malfunctions, is grounds for removal alone. Short of that, he must be recused from any decisions related to voting machine contracts. Any other members with ties to voting machine companies must be held accountable, and all commissioners should be disqualified from the Board if they do not approve voting technology that is secure and provides a paper record. 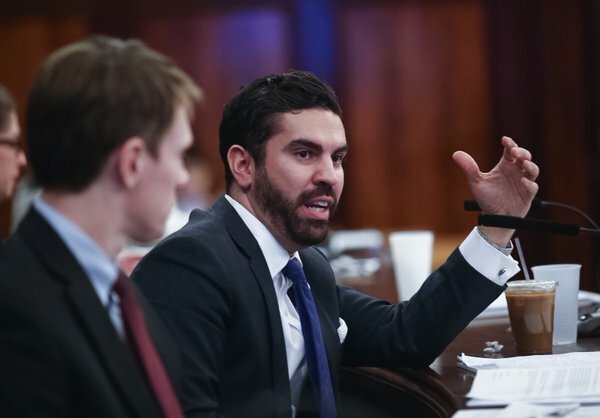 In the longer term, comprehensive Board of Elections reforms are needed, including a wholesale revamp of the oversight structure by lawmakers in Albany. At the absolute minimum, companies with business before the Board of Elections should be barred from lavishing perks on decision-makers, and local party bosses should not be handpicking the Board members. This is an odd moment. Albany is finally taking action to improve access to the ballot box, while the New York City Board of Elections is moving deeper into the era of smoke filled rooms. While pay-to-play politics is nothing new in this state, we can’t become numb to corruption that undermines New Yorkers’ fundamental right to vote. There is still time to get this right. Through public pressure and support from reform-minded officials, we can force the city and state to protect voting rights, not shady voting machine companies. Jonathan Westin is the executive director of New York Communities for Change. On Twitter @jwestin2 & @nycchange. The proposed legislation, of which Kallos is the lead sponsor and he introduced at the Council's Stated Meeting, would expand the city's "Workforce1" job training program and provide additional online resources for parents returning to work. The five-point plan calls for training in technology, partnerships between public agencies and private companies, resume assistance, a proactive outreach campaign to spread the word about job training, and more online information for parents. 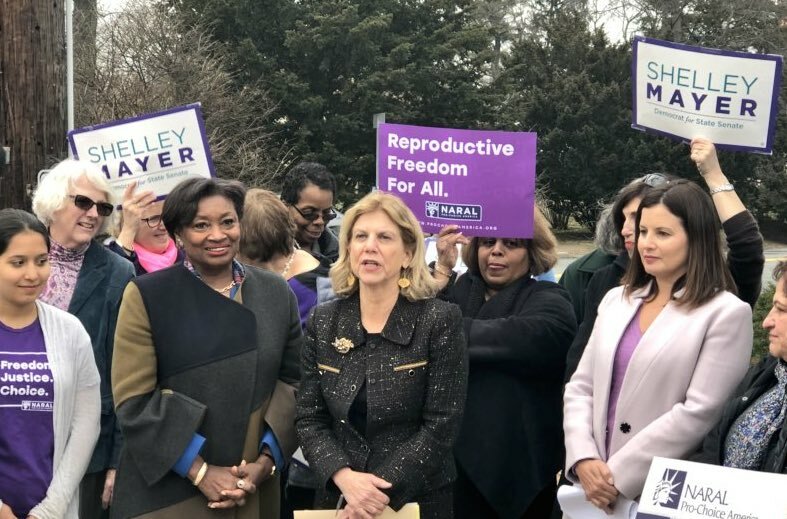 The council members announced the legislation earlier Tuesday at a press conference in front of City Hall, backed by supporters from women's rights groups. On the last day of Women's "Her-story" Month, said Council Member Cumbo, "We must recommit to the struggle that women face daily." Cumbo chairs the council's women's issues committee. She called attention to issues of gender pay equity, the lack of a paid family leave law at the state and federal levels, and the limited resources to help new parents transition back to work, all of which contribute to the loss of a "critical braintrust." "Parent's should have our city's full support when they choose to return [to work]," Cumbo said. The council members appear to be responding to a critical issue. Nearly 40 percent of women took significant time off for family-related reasons, as did 24 percent of men, according to the Pew Center for Research. Only 10 percent of men quit their jobs while 27 percent of women quit for those reasons. For 31 percent of mothers, time off hurt their careers; 18 percent of men felt the same. "The fight for gender equity cannot be confined to just one month," said Council Member Kallos, echoing Cumbo's sentiment. "We must fight for gender equity every day of the year." Kallos stressed the diversity of stay-at-home parents, who span all socio-economic classes and races, and the potential impact on the local economy from facilitating the transition back to the workforce. "We envision a city where any parent is confident that he or she has the support necessary to reenter the workforce and does not need to struggle to do so," he said. The Workforce1 program's 18 career centers helped 40,000 people get jobs in 2013, according to Center for an Urban Future. Kallos hopes to increase the number next year by expanding the program with more technological training and making it a "one-stop shop for information and training, not just a way to connect to in-person resources." 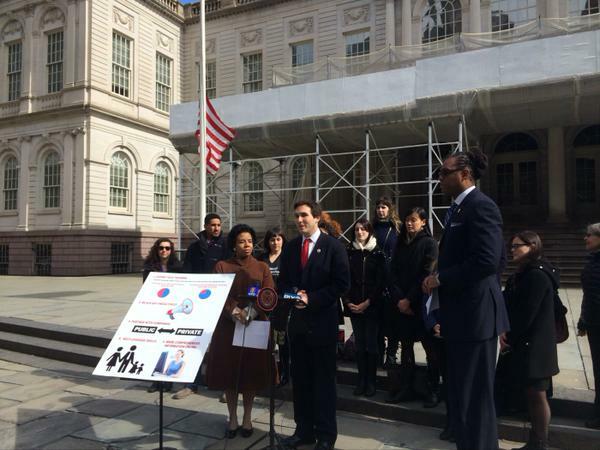 Erica Cohen, a young parent and graduate student, worked with Kallos on this campaign. She has been unemployed for five years and has found it tough to find a job while being the primary caregiver for her daughter. "There are some skills that I don't have or I'm rusty at and I think any re-entry program that can help me with those skills and help me with the unique obstacles of returning to work," she said. "Whether you're a stay-at-home mother or father, there are unique challenges, I think this plan would help parents with these unique obstacles." Council Member Robert Cornegy Jr. has been a strong supporter of women's equity and gender issues, and he is also chair of the Council's small business committee. Last year, Cornegy created the first community lactation station in his office in Bedford-Stuyvesant for mothers to breastfeed their infants in private. Today's bill, he said "acknowledges that the barriers that (women) face are real and have real consequence for their present economic security and their futures." Representatives from advocacy groups including the Women's City Club of New York, The Lower Eastside Girls Club, Planned Parenthood, NARAL Pro Choice, and New York Communities for Change also showed their support for the proposals. Unfortunately, after the construction was complete an architect from the City's Build it Back program deemed the residence structurally unsafe. Velez and his family moved out of the home this past October and were told that demolition would begin in November. Now March, Velez is still waiting for Department of Housing Preservation and Development contractors to begin construction of his home. While the program has gotten a shot in the arm under Mayor Bill de Blasio, the pace is still too slow for many. Even living out of his home there is another reminder of the damage Sandy has done: Velez gets regular calls from Citibank representatives asking when he will catch up on his mortgage. 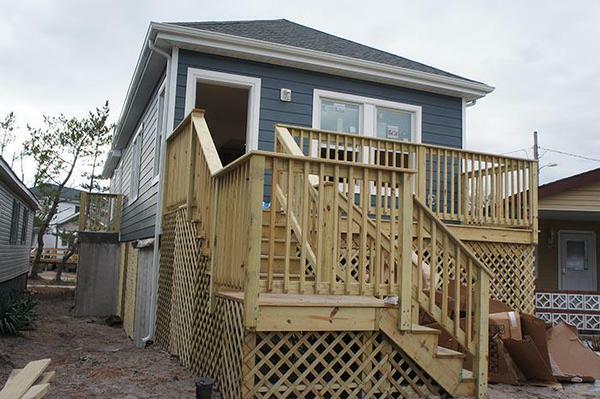 "They even called me the day I had cancer surgery to remove a tumor," said Velez who was advised like other Sandy victims that he could stop mortgage payments while his home was being rebuilt, only for his lender to demand missed payments immediately after the forbearance was over. Many homeowners have watched as Attorney General Eric Schniederman won the state multi-million dollar settlements from major lenders like Bank of America, Citibank, and JPMorgan. Like Velez, many struggling homeowners expected that those settlements would go directly to help New Yorkers who are underwater with their mortgage. In Velez's case the AG's office did offer help, through an initiative called the Mortgage Assistance Program, which makes up to a $40,000 loan for homeowners who face foreclosure to pay off mortgage debt, second or third mortgages, or tax liens. Eligible families must be able to keep up with their mortgage to qualify for the program. Thousands of New Yorkers face foreclosure and don't qualify for the AG's program - some New Yorkers are simply far too behind on their mortgages to qualify. Groups like The Fair Share for Housing Coalition and New York Communities for Change say the State needs to commit all of the funds from settlements with major lenders over mortgage fraud to go to helping homeowners. In 2013 Schneiderman won a $615 million settlement for "mortgage misconduct" and according to the settlement 85 percent of that money had to go to programs to help homeowners. Schneiderman announced he was going to parse the cash out to nonprofits across the state that help homeowners avoid foreclosures, but Governor Andrew Cuomo and the state Legislature cut a deal in the 2014 budget that swept the cash into their coffers. According to Crain's New York, Schneiderman only ended up with $85 million of settlement funds. Many advocates say they expected a number of "innovative" programs from Schneiderman's office given his national prominence on the issue. They feel those programs were kneecapped by Cuomo, who has a searing rivalry with the attorney general. The AG's office currently works with nonprofits around the state to help homeowners avoid mortgage fraud through a program called the Homeowner Protection Program. A network of over 85 groups gets about $60 million in funding from the AG's office. Homeowners are directed through that program to the Mortgage Assistance Program (MAP). The AG's office expects to be able to give out "several hundred" loans through MAP. The program began last October and has given out 100 loans of up to $40,000. The Fair Share for Housing Coalition lists a total of $492 million in settlements with Bank of America, Ocwen Financial Corporation, and Citigroup as directly related to mortgage fraud and it advocates that the State utilize, at the minimum, those funds to help homeowners. But the State actually has over $5 billion in settlements with banks and corporations that advocates would also like to go to homeowners' cause. Charles Pollydore, a homeowner from Long Island and member of New York Communities for Change, has been circulating a petition demanding Cuomo use settlement funds to help homeowners who are underwater or face foreclosure. Pollydore lost his consultant job on Wall Street in 2008 and, while on unemployment, began trying to negotiate a loan modification with Bank of America. He said he was repeatedly rebuffed or ignored. He reached out to a slew of state and federal representatives only to be directed to a different office each time. Also in 2008, Pollydore became disabled due to a diabetes-related amputation and he fears he will never be able to come to terms with his bank for an affordable mortgage payment. "It is great the State is getting all this money back from the banks, but I feel like they need to give the money back to the homeowners - especially the money that came from these predatory lenders," Pollydore said. He adds that his Long Island neighborhood has been ravaged by foreclosures. "You drive through the neighborhood and the houses are boarded up, there are squatters, we have increased crime, school taxes have increased." Pollydore says he is now surviving on government assistance and still owes back taxes. "The money the attorney general is using for his program is a drop in the bucket compared to the settlements they have reached," said Pollydore. "We need the money back to stop so many people walking away from their homes." Cuomo's budget proposal combines the State's pot into $5.8 billion in settlement cash and proposes to put it largely toward one-time expenditures. The plan would use $1.5 billion for upstate revitalization, $3 billion for infrastructure including the Tappan Zee bridge, $500 million to increase broadband infrastructure across the state, and $850 million for a rainy-day fund. The Assembly budget is largely in line with Cuomo's proposal, but adds $200 million in increased spending on housing issues, including $100 million for homeowners "at risk of foreclosure or who are underwater on their mortgage." The Assembly budget plan only offers this about the program: "The Assembly provides $100 million for a mortgage modification program." Calls to the Assembly for more details were not returned. While The Fair Share for Housing Coalition praises Cuomo for including more funding for affordable housng and has tried to avoid ruffling feathers in its push for more help for homeowners, New York Communities for Change (NYCC) has used a more confrontational style. It issued a report earlier this year called "Wall St. On The 2nd Floor" that details the connections between Cuomo's new chief of staff, William Mulrow, and his former employer, Blackstone. Blackstone is the largest private equity company in the world and NYCC worries Murrow, and by extension Cuomo, has a conflict of interest. The NYCC report reads: "Private equity companies "snapped up properties after prices fell as much as 35 percent from the 2006 peak and rental demand rose from the almost 5 million owners who went through foreclosure since 2008." The company that bought the most foreclosed properties during this time was Blackstone." NYCC members plan to deliver Pollydore's petition to the governor soon. "I think the governor has made his priorities pretty clear," said Peter Nagy of NYCC. " Helping people hurt by the banking crisis doesn't seem to be as important as helping those who caused the banking crisis. I think the governor's friends believe it is in their best interest not to help homeowners." As they do during budget season, deals will materialize and implode, and it appears that the use of settlement funds may be decided in negotiations between the Legislature and Cuomo outside of the budget, which is due by April 1. Legislative session continues through mid June. "The windfall money is something that I believe should be settled outside of the budget and done in a very deliberate way rather than rushing it in the next three days," Senate Majority Leader Dean Skelos said after meeting with Cuomo on Tuesday. On Wednesday, the Cuomo administration was pushing back. Velez said he is happy with the AG's program but wished there was more help out their for other homeowners, "This was a hurricane, no one asked for this," he said. Pollydore, meanwhile, plans to keep advocating for Cuomo and the Legislature to dedicate all of the mortgage-related settlement funds to helping homeowners who are facing foreclosure. "This is why I'm appealing to the governor to help us. The banks got a bailout from the government and we didn't - so the State got that money from us. They got it from us."